Starting with a gorgeous length of silk ribbon in shades of gray/blue and silver...I then added lovely European beads in shades of blues and pinks. 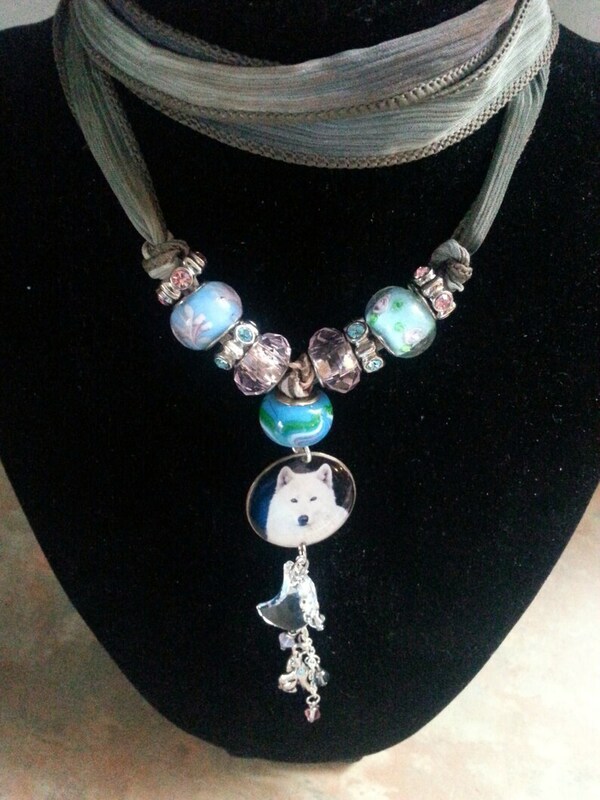 Hanging from the center, is a beautiful white wolf charm with tiny swarovski crystals and a large moon crystal...as well as a little silver howling wolf charm... dangling from a tiny chain It will wrap three to four times around your wrist or, you can wear it as a necklace or anklet! Perfect for that "Gypsy Soul" and wolf enthusiast.